I learned as a child that Rosh Hashana was a “no kidding around” holiday. As a kid I was taught that tonight God opens the Book of Life and begins to decide whose gonna make it for another year. 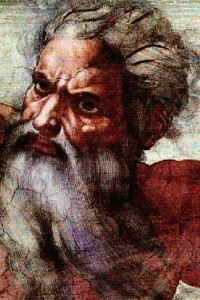 I found the God of my ancestors to be awfulyl judgy that way. But wait! There’s sort of a “C” card that you get — because even if you’ve been a total jerk for the entire year past, over the next ten days you can seriously repent for everything you did, ask forgiveness and make amends. Sort of the Jewish Ninth Step. The holiday ends in 10 days on Yom Kippur when the Book closes. Don’t get me wrong, I love the idea of taking time to reflect on how you can be a better human being. I guess having a holiday that forces you to do at least once a year is better than not doing it at all. For me, if I’ve wronged someone one, I prefer to promptly admit it. Frankly, it doesn’t seem that sincere if you get an apology from someone, if they were doing it for the “soul” purpose of not dying in the next 12 months. And yet, the Jewish Holidays are still special to me, even though I became a Unitarian over 20 years ago. I love the annual walk I take with my Dad which becomes more important every year. Instead of the Book of Life, I open my Closet and take out all my summer clothes and bring out my fall wardrobe. It’s always my intention to close that door before the last shofar sounds. 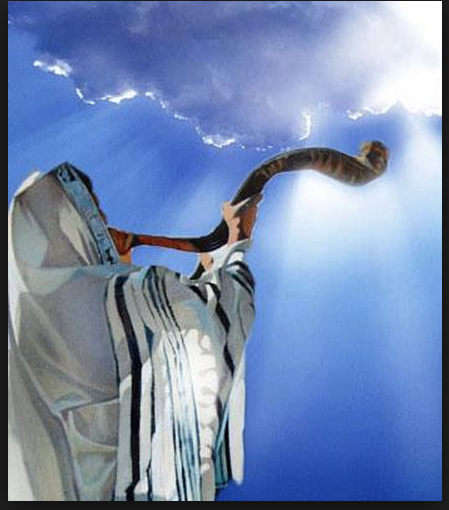 And I try, every Rosh Hashana , to come up with a new joke about blowing the shofar – but it gets harder every year, and now with Uber, well…forget it. Not to go all theological on you, but I personally don’t believe that there’s a God that sits in judgment deciding who lives and dies, who gets cancer or doesn’t, who wins the lottery or sleeps on the street. My Higher Power is a loving Great Spirit who weeps with us when we weep and gives us strength when it doesn’t seem like we have any of our own. Tomorrow I go back to the Cancer Center for my 14th infusion of Herceptin. I’m hoping that counts toward Book points. And if it was up to me, you’d all be inscribed. But it’s probably up to you. La Shana Tova. I wish you a sweet and healthy New Year.